I found this pirate ship sitting in an equipment yard in Olympia in 2011. The Vessel was hand crafted as a one-off pirate ship conversion in 1985, by a retired naval architect to play with his grandchildren. Upon inspection the boat needed a total restoration. This ship, as it turns out, is an authentic scaled replica of a seventieth century fully- rigged Three masted frigate. Christopher Columbus’s Santa Maria was this type of ship. 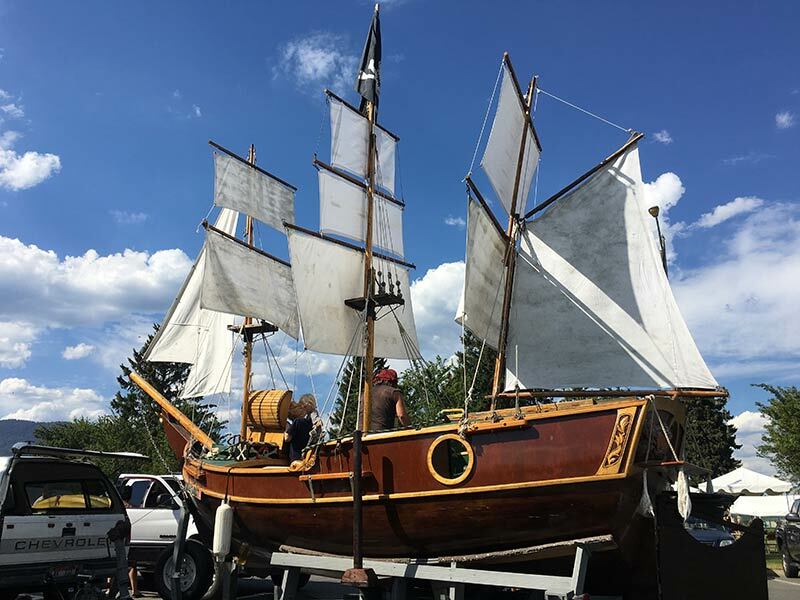 This Vessel has been displayed all over the Northwest at Boat Shows, festivals and parades. On board we teach knot tying, sail rigging and Helmsmanship. Children are dressed in pirate garb while on board. This Vessel Operates as a children charity out of Sandpoint, Idaho.